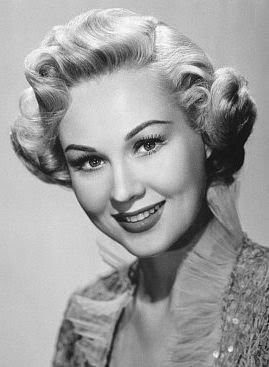 This time around on our Martin and Lewis Old Time Radio Podcast, from an April 11th, 1952 NBC Radio Broadcast, Dean and Jerry welcome Virginia Mayo to the show. Dean sings Me And My Girl, his new recording All I have to Give You Is My Love and Mighty Like a Rose. Jerry contributes another novelty song The Book Was So Much Better Than the Movie. Thanks to Meredith Montanez for providing shownotes! Dean, Jerry and Virginia do their version of "A Street Car Named Max" and the 3 sing a take off of The Trolley Song (originally sung by Judy Garland from Meet Me in St. Louis) where Jerry (Max the Trolley) falls in love with Virginia's character and steals her from Dean. A surprise guest Betty Mills from Radio TV Mirror Magazine gives congratulations to Dean and Jerry for being their readers' favorite radio comedy! Jerry makes mention of their adoption and support of the MDA, but makes a statement that the Tall Cedars of Lebanon were the first to adopt and support MDA and have made considerable donations. 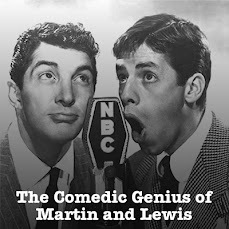 A plug for the Martin and Lewis movie "Sailor Beware" finishes the show. Also, visit the Official Brian Noe Website for links to all of my shows, special features and more. This program was licensed by ASCAP and BMI. The old time radio program presented is a work in the Public Domain. Our theme music Del Sasser and Come Rain Or Come Shine are from Danny D'Imperio.